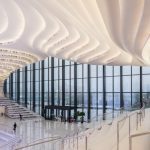 The futuristic library sits within a sheltered gallery, topped with cathedral-like vaulted arches, which wind their way through the scheme. 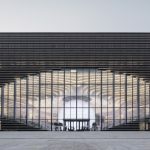 MVRDV‘s project is surrounded by four other cultural buildings designed by an international team of architects including Bernard Tschumi Architects and Bing Thom Architects. 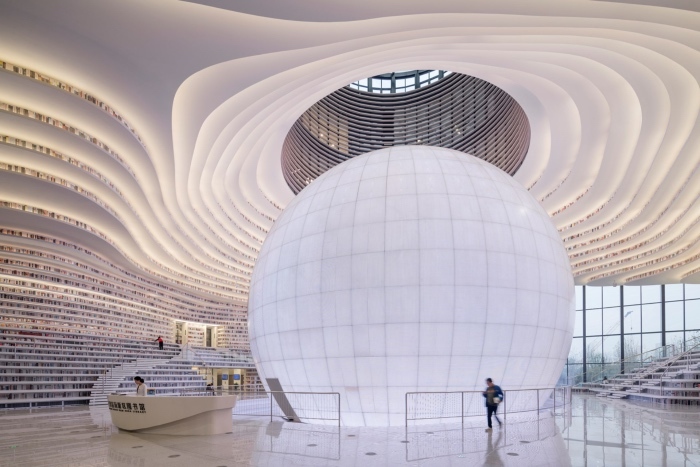 Tianjin Binhai Library is part of German architects GMP‘s 120,000m2 masterplan which aims to accentuate the characteristics of the surrounding districts. 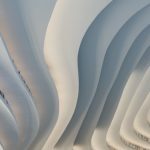 The complex is intended as a junction point for the CBD, old town, residential districts, commercial areas and the government quarter supplementing missing programmes in each. 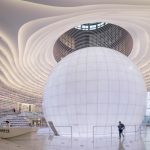 The library’s outer volume was stipulated in the masterplan thus the Eye and surrounding semi-public area are an internal space, an inverted icon, acting as a central point and folly in the building. 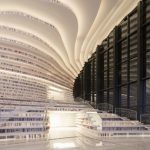 Tianjin Binhai Library is MVRDV‘s fastest realized project to date, taking just three years from the first sketch to the opening. 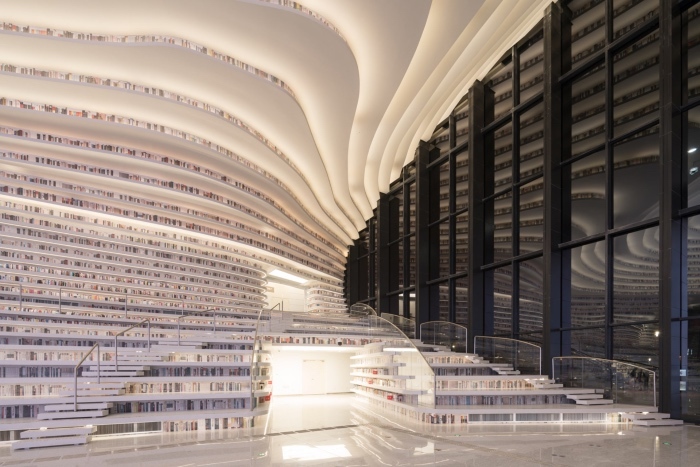 The tight construction schedule forced one essential part of the concept to be dropped: access to the upper bookshelves from rooms placed behind the atrium. This change was made locally and against MVRDV‘s advice. It rendered access to the upper shelves impossible. 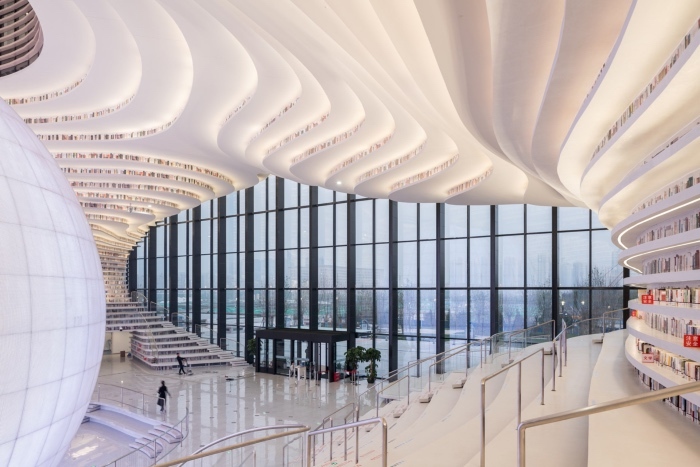 The full vision for the Tianjin Library may yet be realised. 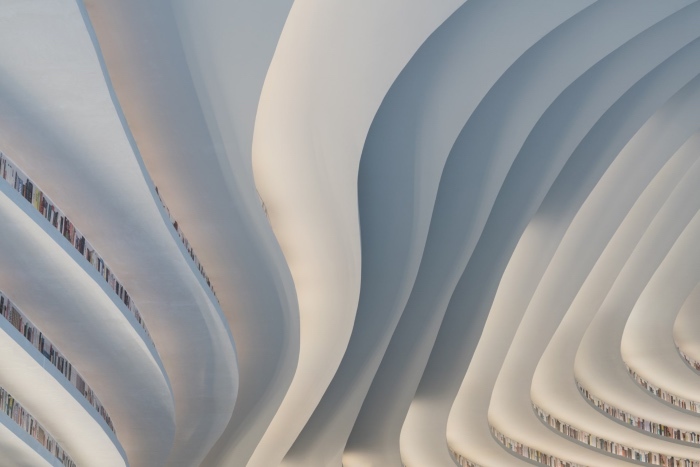 Until then the upper shelves of the library remain empty – with perforated aluminum plates printed to represent books – a remnant of the original design. 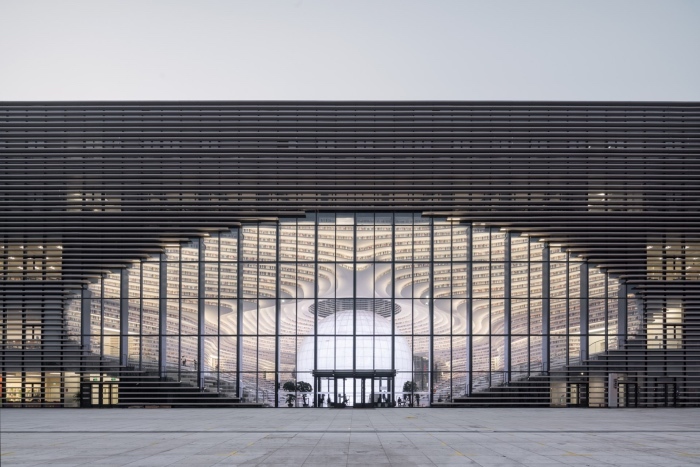 The project is MVRDV‘s second completed design in Tianjin. TEDA Urban Fabric, completed in 2009, provided 280,000m2 of mixed high and low-rise housing and retail.